na? muss ich dazu noch was sagen? Yamaha besinnt sich und macht ein kleines supermobiles Synth-Teil für FM und Klassischem CS-Sound (und Orgel/Klavier). Sehr gespannt auf Dienstag..
399€ sollen sie kosten. Die anderen Synths haben keinen Speicher – aber bekommen es über Apps. Batteriebetrieb möglich, Lautsprecher eingebaut. MIDI in/out. USB. as said – no memory WYSIWYG – but iOS delivers patch storage – and looks like it sound not too bad – in fact it is more like AN – but possibly it is more like fitting better as a CS since it is a control-synthesizer as Yamaha use to name it. FX also. 1 ADSR. 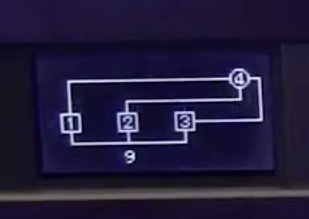 little Looper inside – works as sort of Sequencer. LFO is in as well with multiple typical mod destinations. So it is sort of „do all“ synth with the concept of a Microbrute but with 8 voices and digital. 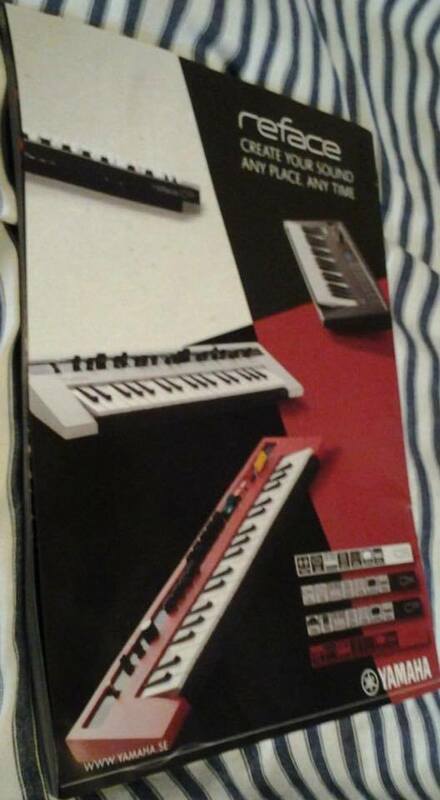 HOW the WEB MIDI works – not bad at all – and after Modal they are the first to doing that and – the first mainstream company – this is and could be the editor that survives the update battle! 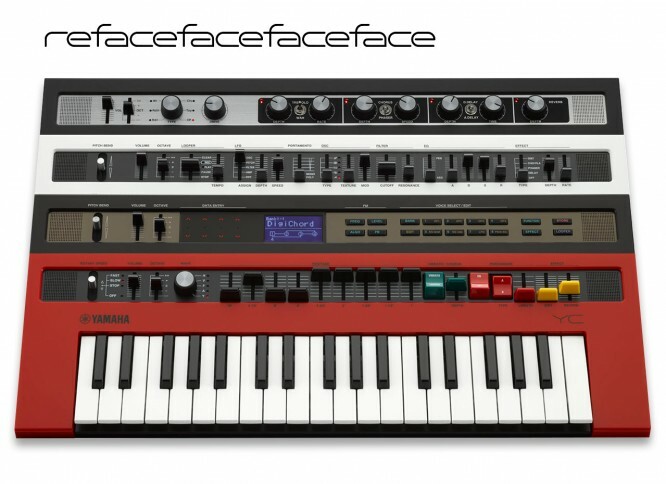 it might sound „not so cheap“, but Yamaha know how to built a solid synth – and it is really made to be mobile and simple to use – to me it is very very much 2015. I could imagine all of them .. well not an organ since that’s really not my cup of tea – but at that size this is a nice jam and live stage companion. maybe it is even nice enough to just use them as the only keyboard synth..
it all sends controllers so you could control softsynths as well. as we are all look forward towards thursday, the official release there’s almost clear ideas about what they do. CS/AN, DX / FM Synths and additional to that CP Piano and Organ YC which are 128noite polyphonic compared to the synths – but also all with aux in, midi etc.. so to me the cool thing is the first 2 things – as the video (see link above) implies – there is Ringmod-kind of stuff and it is totally supersmall mobile kind of small keyboard. 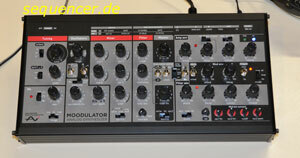 The Ringmod is a „mode“ of one of the waves – so it is easy to tweak and make your sound even more metallic. so it’s more than a CS01 or so, but not as much as an AN1x or something like it. see the controls – I just hope there’s something to control the parameters with easily that won’t explode after the x’th update of WIN/OS X.. – the top right thing looks like there is something – software editor kind of thingy..
Das Reface CP könnte ‚was sein. Das werde ich ‚mal antesten. das Demo war nicht mal übel.